Once in a very, very rare blue moon, a truly amazing piece crosses your way. 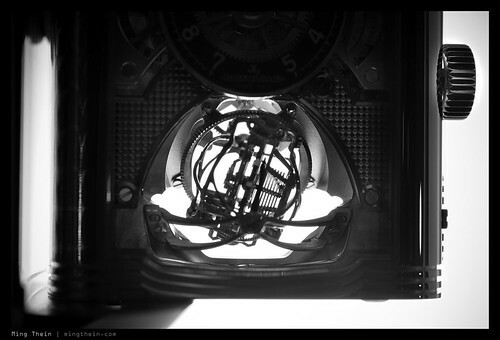 This is one of them: The Mother Of All Reversos. 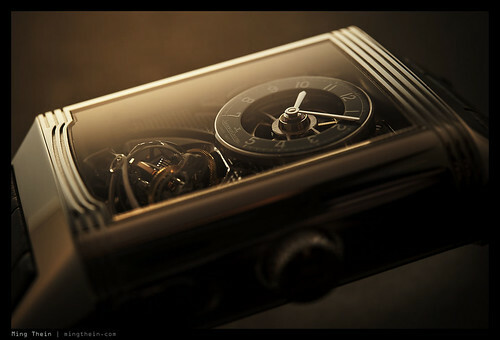 The Jaeger-LeCoultre Reverso Gyrotourbillon 2. 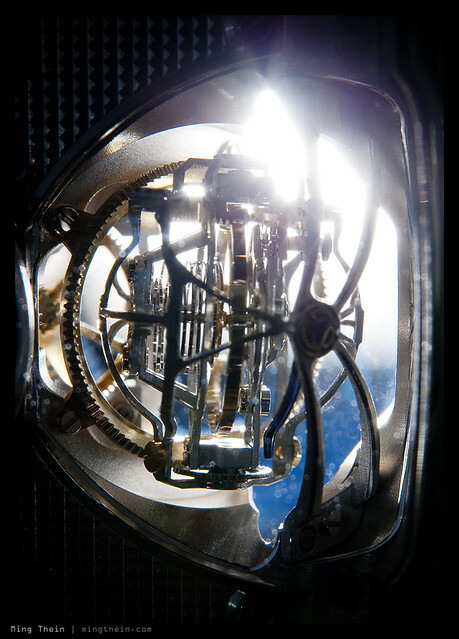 A double-axis tourbillon with cylindrical hairspring; reserve de march and date indicators. 373 parts and 58 jewels keep everything turning. Oh, and it runs for 50 hours off one massive single barrel. 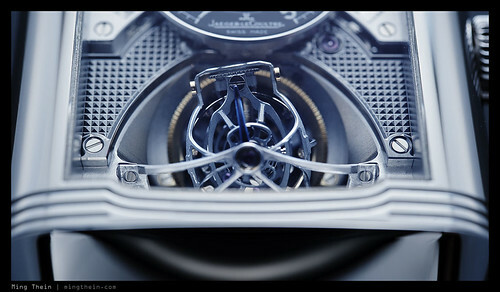 As you would expect, the case is truly enormous to accommodate most of all the spherically shaped tourbillon; the movement alone is 11.1mm thick, accommodate in a case around 16mm thick. The case is so massive there’s a secondary integrated lock slider near the crown to prevent accidental reversing. Click all images for larger versions. 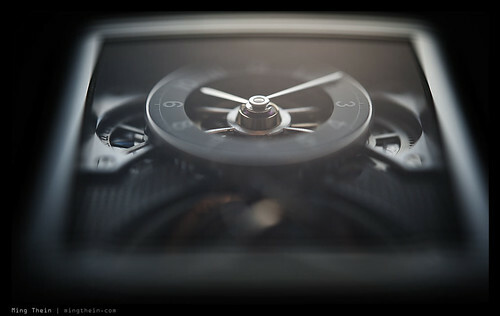 A watch like this transcends practicality and sits very much in the rarefied field of art, so I won’t attempt to comment on pedestrian things like its water resistance; it just isn’t important. Besides, I would seriously question the sanity of a person who chooses to go swimming with a six figure complication on a leather strap. They should immediately have all their watches confiscated by some higher horological authority. 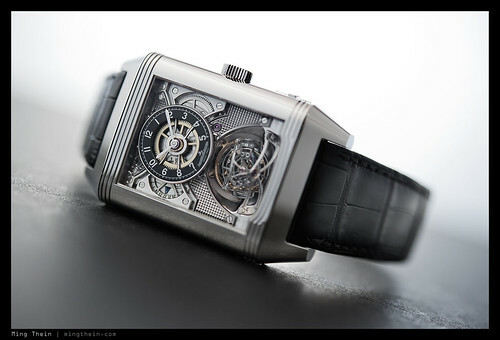 Suffice to say the piece has enormous wrist presence; it’s our horological bling in the best possible way. 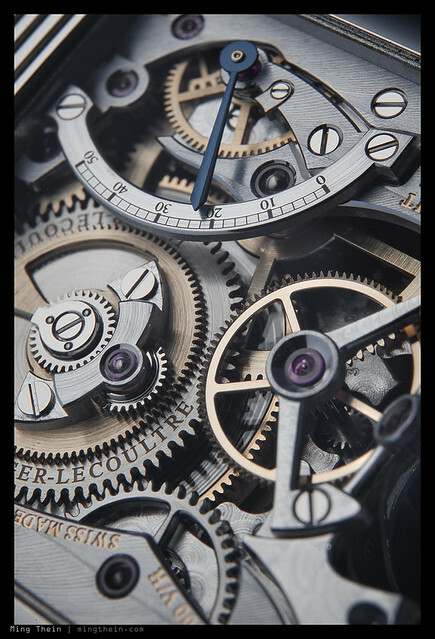 I personally love how the movement itself forms the dial, allowing you to appreciate the variations in surface finishing (clous de Paris, anglage, perlage, matte, brushed, polished…it’s all there) and the tourbillon itself. 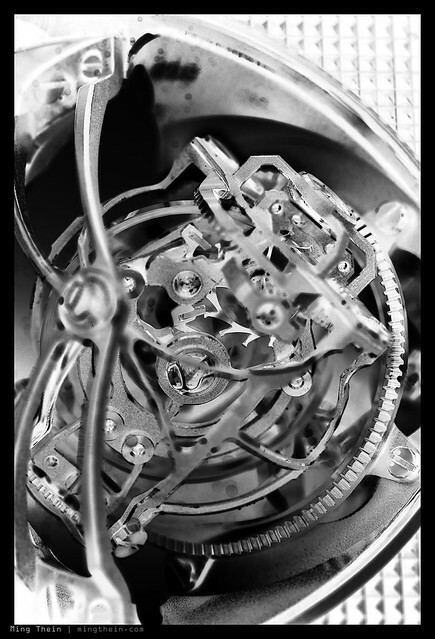 In fact, I believe one of the very reasons the watch does not have a dial is to keep the thickness down due to the tourbillon; it appears that the cage is the thickest part of the movement. And what a cage! Two axes of rotation, different periods. 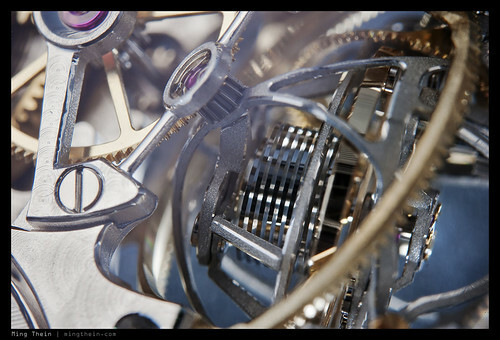 I would imagine the end point of the tourbillon would probably trace a path covering all points on a sphere, if one were inclined to wait long enough. It’s actually quite a challenge to photograph this movement (and hugely more so to regulate it) because the tourbillon doesn’t stop. Your final composition is a bit of a surprise, because the cage keeps moving. I guess the barrel has to be blocked or a tool used to stop rotation to adjust the rate of the watch.